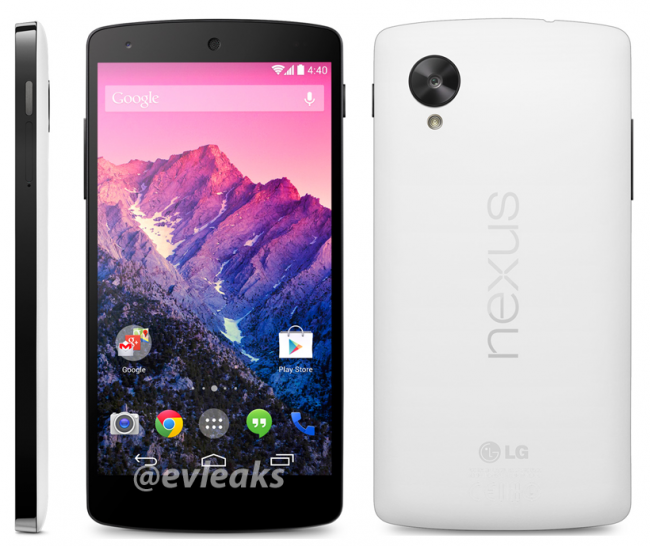 Thanks to famed tech leaker @evleaks, we now have two new press renders for the upcoming Nexus 5 in both white and black along with a potential release date. As you can see from each included picture, it does appear as if we’ll see two variants, which we sort of figured after a couple of previous leaks. Nothing is necessarily new in either of the renders, but this is the clearest picture yet of the white model. We had only seen the white Nexus 5 on a retail box and in a spycam shot a few weeks back. 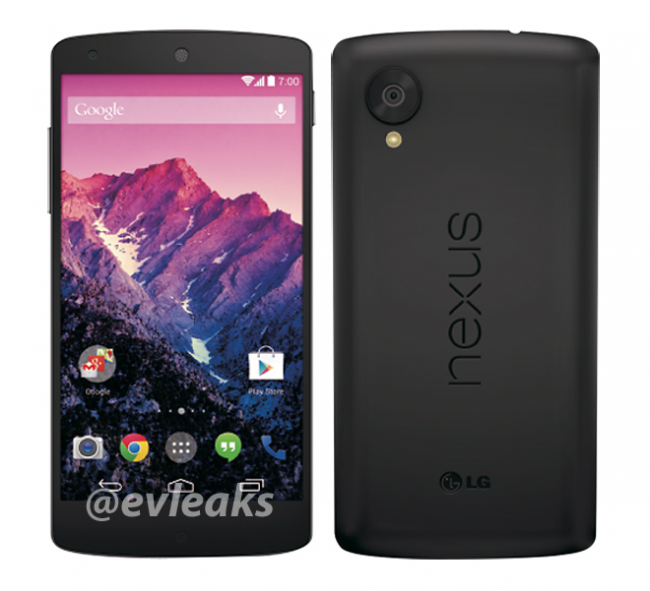 So when will we finally be able to buy the new Nexus 5? According to @evleaks, it could arrive as early as November 1. His Tweet with the white render only said “In white. 11/1.” While nothing is confirmed or official at this time, we tend to listen when Evan speaks or provides information about upcoming devices. The man has a great track record. We’re still a little confused at why there has been no indication of a press event for Google to unveil this phone and show off Android 4.4. Both products seem worthy of some extra attention, though Google still remains less typical as a tech giant than most. Or maybe the event will happen mid-week as a last minute gathering? Either way, temporarily pencil in this Friday as a potential day for you to spend $349.